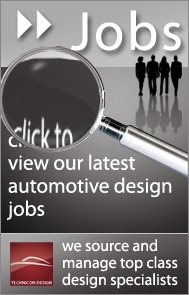 Using digital technologies in design has been one of Technicon’s core competencies for over 35 years. Project fREN includes all the services that Technicon currently offers to OEMs in all parts of the world. However, due to its holistic approach, fREN delivers a lot more than just the sum of the individual expert disciplines involved in the project. fREN is a tool that not only facilitates decision-making processes in product development, but also helps to make design-related decisions at an earlier stage and in a more targeted and resource-saving way. 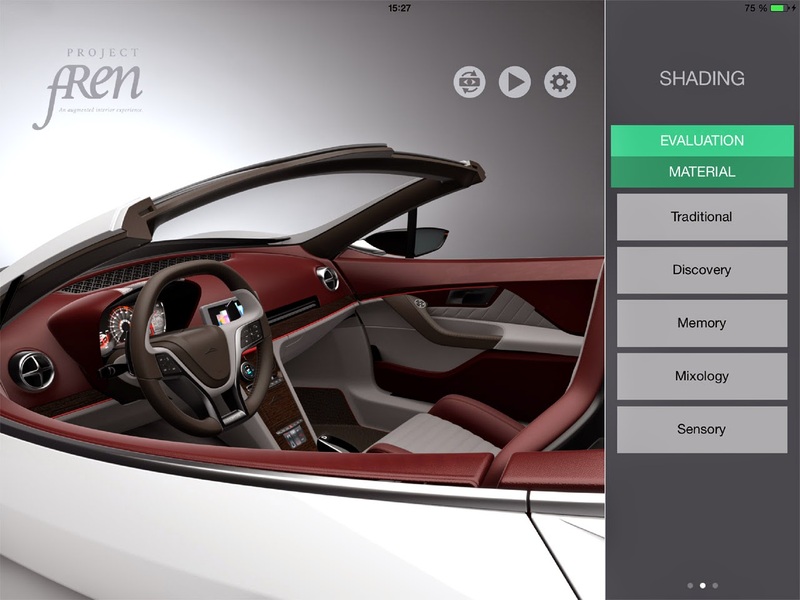 Virtual evaluation tools such as fREN will increasingly replace the time-consuming and costly development of physical models as decision-making aids. Using virtual tools saves both money and time. The system is extremely flexible and can be used in an almost location-independent way. For years, the design studios of many OEMs have used both cave and power wall projections as virtual tools to verify design and engineering decisions. 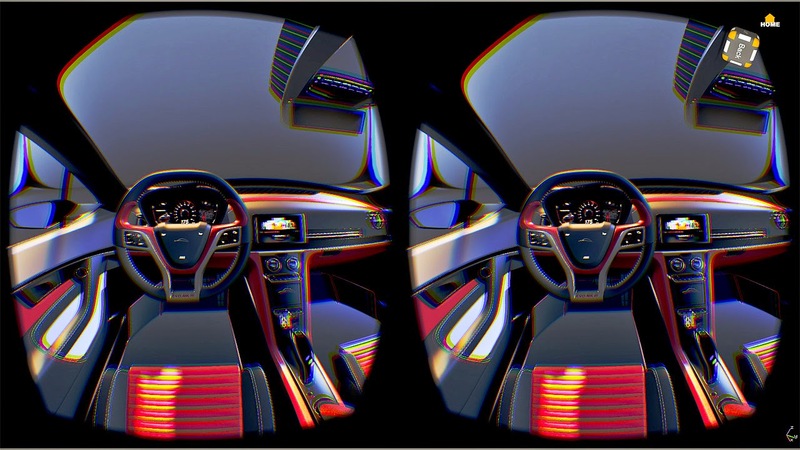 Conventional 3D projections and shutter glasses are used to provide a three-dimensional experience of a vehicle’s interior and exterior design. So far, however, this approach has only been moderately successful. That’s why making design decisions in automotive development has been impossible without the aid of physical models. This approach goes back to Harley Earl, who, in the 1930s, introduced design and model-making as a process, thus revolutionising automotive development at GM. display, using the Oculus Rift head-mounted display. fREN is the phonetic transcription of the Ancient Greek term phren meaning diaphragm, which was seen as the seat of the soul. 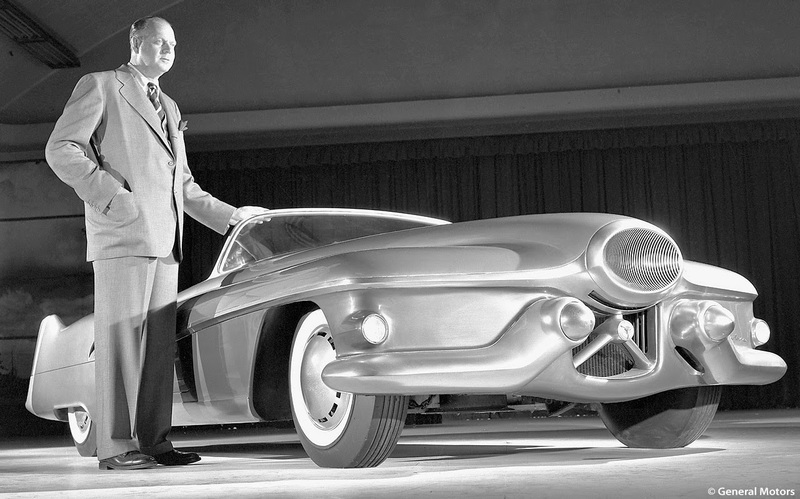 full-scale model of the Buick Le Sabre (1951). The augmentation (fREN) aspect is based on a sensory experience sequence in which the user simultaneously experiences both the real feeling of sitting in a car and a stereoscopic projection. With the Oculus Rift head-mounted display (HMD) it is now possible to project real, high-quality stereoscopic 3D representations directly onto the user’s field of view. Using infrared tracking and gyroscopic calculations, the HMD’s position is measured and simultaneously transferred to the camera position in Autodesk’s VRED render system. Hence, each head movement affects the Oculus image and users get a real-time 360° view of the virtual space, enabling them to look around and move through the space. 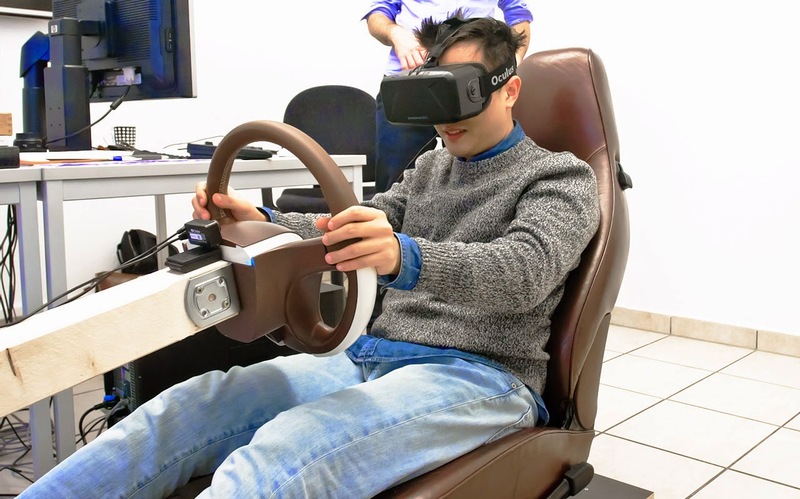 The system generates a highly realistic representation of the vehicle, which is additionally supported by real objects that the user can feel, in particular the seat and the steering wheel. 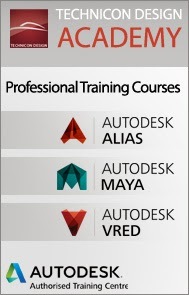 A great deal of expertise and experience is needed to create and process the data for representing scenes with VRED: in addition to the highly detailed and high-quality surface geometry data created by the design team in Cologne using Autodesk Alias Automotive 2015 in class-A quality, the project also requires excellent skills in using and applying various visualisation techniques. These skills range from data processing and scene lighting, the creation of HDRI environments and shader processing to adjusting camera views with the user’s viewing direction in the model. it is also possible to generate stereoscopic views of the exterior. That’s why we work with a multi-disciplinary team of photographers, CGI specialists, transportation designers and surface designers who know how to use the hardware and software to achieve results that are as close to reality as is achievable. Colour and trim design plays a very special role in Project fREN. C&T concepts are still developed in a rather abstract way using material collages. Now, however, we can digitally reproduce the selected materials using a complex scanning technique, followed by shader processing. We use real material samples to implement the C&T designs created at the Technicon studio in Munich. The textures resulting from this process are used to create material shaders. In VRED, these material shaders are then directly applied to the geometry data. Thus, all colour and material information can be reproduced in a realistic way. 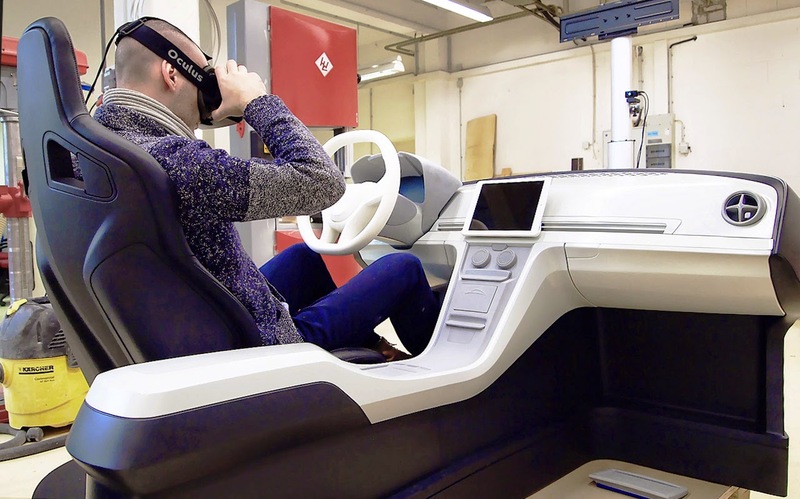 While the different geometries for the VR models and the seat demonstrator are created in the Cologne-based studio, the C&T design is developed at the studio in Munich. The studio in Rüsselsheim is responsible for making the physical model and carries out all model-making work for Project fREN in-house. The model is predominantly made from ureol, a special model-making material based on PU foam. A large portal-milling machine is used for contouring the rectangular raw blocks. 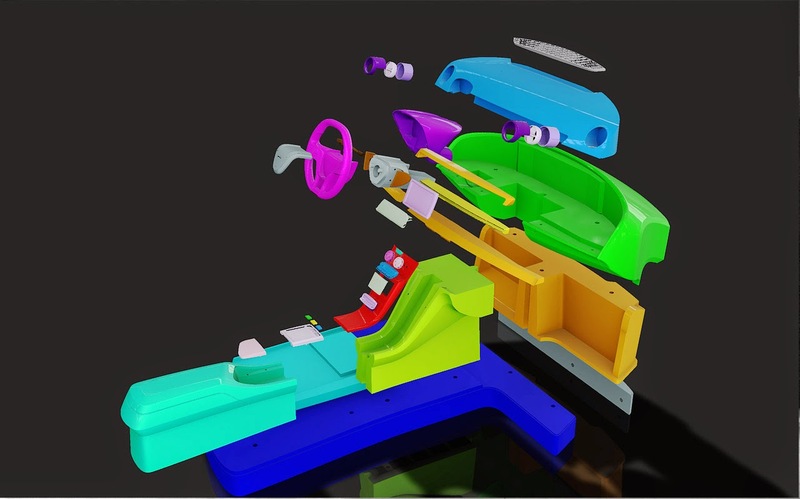 Details such as switches, steering wheel and inserts are produced as rapid prototyping parts using SLA or SLS techniques, depending on the parts’ durability requirements. The experienced team, comprising CAD/CAM specialists, milling experts and model makers, puts the different parts together, thus creating the project’s unique value: the tactile experience of Project fREN. Alias and passed on as solids to the CAD/CAM specialists. No expert knowledge or CGI skills are needed to run a fREN presentation: everybody familiar with using an iPad or tablet is able to control the presentation using the clearly laid-out and intuitive user interface. fREN is the first tool that enables designers, managers, engineers or sales representatives to run such complex presentations without the help of a software operator. assembled model at the Rüsselsheim studio. The VRED visualisation software provides an open port for controlling different aspects such as lighting, geometry and different colour and material designs. Both component and illumination animations can also be activated in this way. An iPad with a specially designed user interface is used to control the port. The Technicon HMI team in the Munich-based studio is responsible for the user interface design and programming for fREN. The HMI designers working with team leader Chris Falkenhagen are also able to customise the user interface to reflect a client’s corporate design and to accommodate special requirements.